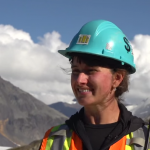 Canada’s coal industry is hiring! Skilled and knowledgeable workers are in high demand for a variety of positions. The coal industry offers higher than average wages and abundant career opportunities. This job board has lots of career opportunities within Coal Association of Canada member companies, which represent the broad spectrum of organizations engaged in the exploration, development, production, transportation and commercial use of coal, as well as a myriad of suppliers of goods and services that support the industry. The Canadian coal industry offers a wide range of careers that support mining operations and the industry as a whole. Skilled professionals such as engineers, geologists, technologists and equipment and logistics specialists are in high demand. As are jobs including information technology, accounting, human resources and communications, which all support the mining industry. Skilled workers employed by the mining sector make significantly higher wages than those employed in other sectors. And the mining industry will need about 200,000 new workers over the next decade to support all types of mining! Between 2001 and 2010, average weekly earnings in Canada’s mining sector rose 31% to $1,445, more than double the average weekly earnings in Canada’s overall industrial sector. Salaries in the coal sector rose even higher during the same time period to 37%. The following is a sample of some of the educational institutions across Canada, which have programs and classes for careers in coal and the mining industry.